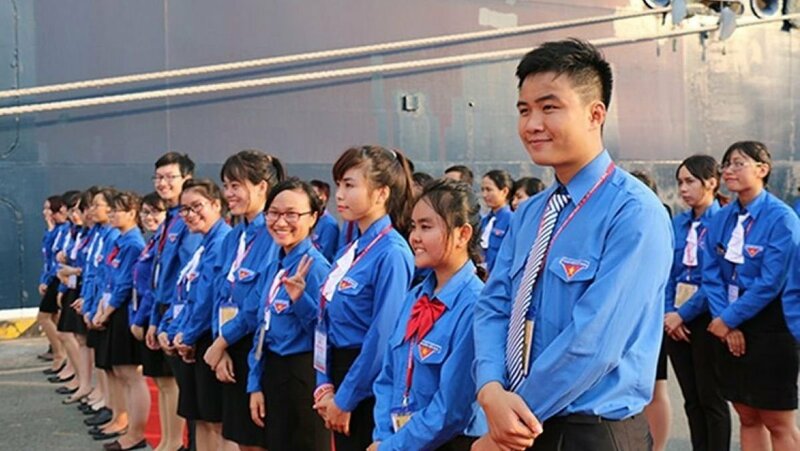 A ceremony was organised on December 2 to welcome the 45th Ship for Southeast Asian and Japanese Youth Programme (SSEAYP) at Cat Lai Port in Ho Chi Minh City, with 326 young delegates from ten ASEAN countries, including 29 from Vietnam. The youths will stay in Ho Chi Minh City from December 2-5 to take part in a range of cultural exchange activities, visit schools, interact with the city’s students and youths and live with local residents to experience the daily life of Vietnamese families. Welcoming the ship, Secretary of the Ho Chi Minh Communist Youth Union Central Committee Nguyen Ngoc Luong said he expected the youths from ASEAN and Japan will have good memories about Vietnamese people and nature from their stay in HCM City and at the same time, each of them will also leave good impressions here to strengthen ties between ASEAN and Japan. He urged Vietnamese participants to actively introduce their regional peers to the beauty of Vietnam’s nature, people and culture and learn from others to inspire the country’s youths. Later the same day, SSEAYP participants and about 500 local youths participated in a cultural exchange programme where representatives from the countries performed their unique traditional songs and dances. The SSEAYP is an annual youth exchange programme sponsored by the Japanese Government and supported by the member countries of the Association of Southeast Asian Nations (ASEAN) since 1974 during which participants have an opportunity to live together on board the Nippon Maru Ship for over 50 days. This year’s SSEAYP, which takes place from October 23 to December 13, will visit four of the ten ASEAN nations, namely Brunei, the Philippines, Thailand and Vietnam, as well as Japan. It is expected to help youths exercise leadership skills in various fields and contribute to society in youth development. The participants have engaged in vibrant discussions on social and youth matters, eye-opening cultural exchanges as well as sports, recreational and club activities. At each port of call, they are provided the chance to interact with local youths, pay courtesy calls to leaders, visit local institutions, get involved in community services and experience the unique homestay programme.